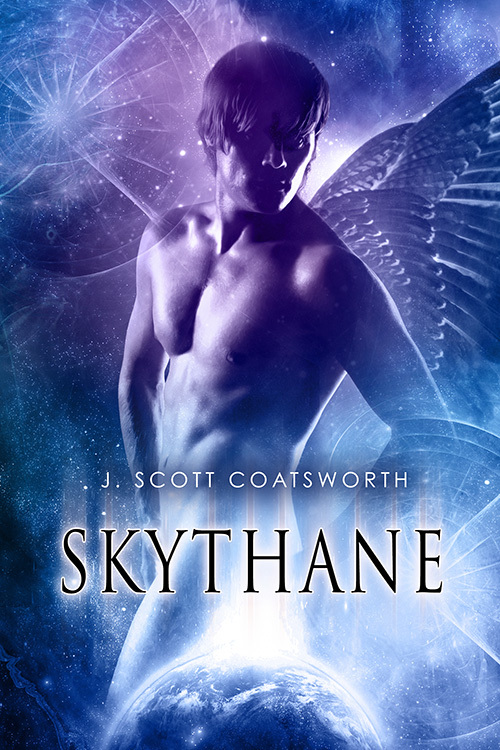 I’m chuffed as heck today to welcome an old friend to the blog who’s willing to be interrogated gently interviewed about his new release, Skythane, and also willing to allow me to swoon over the gorgeous cover art while doing no more than roll his eyes and offer me a handkerchief to deal with the drool. See? (points upward). Very droolworthy, no? So, with my artistic appreciation skills acknowledged by all and sundry, let’s start out with a bit of information on the book before I pin the author into the interrogation chair. And now that’s all done, here’s a reminder of that lovely, lovely cover and here’s J. Scott Coatsworth, willing and able to answer any question hurled at him. 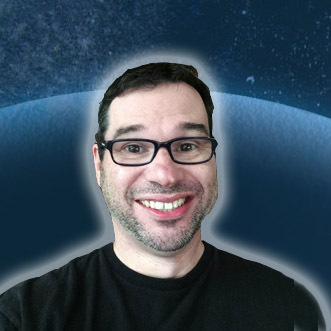 Hi, Scott, and welcome! Let’s start with the easy one. What inspired you to write this particular story? I actually started writing this one back in the nineties. But it didn’t take flight (pun intended) until 2014. I had just come out a couple years before I began it, and it was my first attempt to write a story with gay protagonists, so you could say it was inspired by the newfound freedom I felt as an out gay man. Writing is never angst free -what were the challenges in bringing it to life? Totally the sci fi part. A dear friend beta read it for me after I did the NaNoWriMo thing, and ha a lot of problems with the world backdrop and the science. So I had to put out some feelers and find folk who knew about gravity and weather, and put together a workable theory about how half a world could and would function in the real universe. It was difficult, but it made the novel stronger. What is the most heartfelt thing a reader has said to you? I had my first real fanboy moment at last year’s GRL, when a reader came up to me and told me how much he had loved my novella “The Autumn Lands”, and the twist in the story. It was the first time this happened to me, and it wall always stick with me. So, what kind of character or topic have you been dying to try to write, but you’ve never worked up the courage? Not so much a character, but a pairing? I’ve written a couple lesbian characters, but never a lesbian couple. It’s a bit daunting for me as we don’t share any of the parts in common (well, except for the normal “human parts LOL). But I would love to give it a try sometime. Scott’s new novel, Skythane, is just out – and it combines his love of sci fi, secret reveals and MM romance. I hope you enjoy it!